Congratulations to Lower School Teacher Heather Humphrey's second grade class, who are now the proud keepers of two bearded dragons as classroom pets! Middle School Chinese teacher Mark Ma's eighth-grade language class was treated to an outing to the Lan Su Chinese Gardens in Portland this week to celebrate the Chinese New Year. Last Wednesday night, boarding students gathered at their weekly formal family dinner for a special menu and events honoring the Chinese Lunar New Year. Head of Upper School Asha Appel won a free screening from the film agency behind the new Fred Rogers documentary, "Won't You Be My Neighbor? ", which faculty and staff will be gathering to watch on Tuesday, February 12. 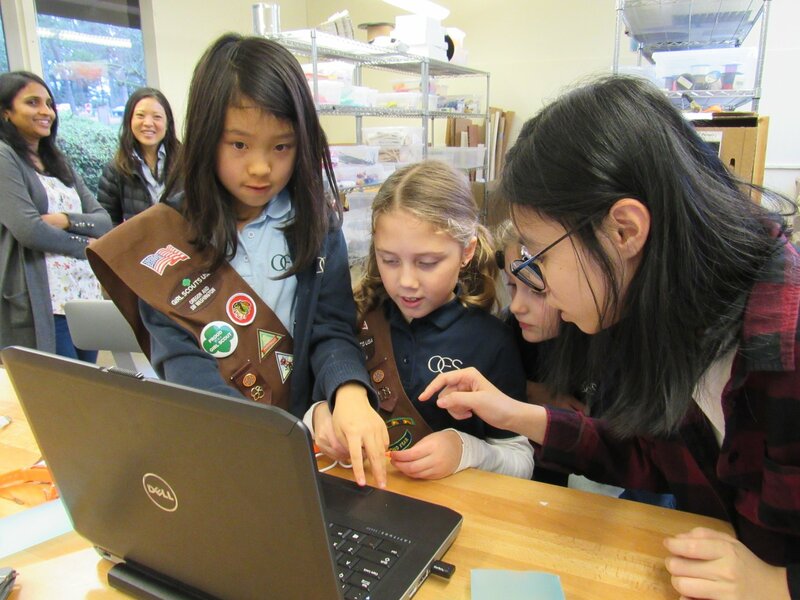 Last week, Lower School students who are Girl Scouts got together with Upper School Women in STEM mentors to build and program Jewelbots in the EC3 Design Center. They had a great time collaborating on this creative project.